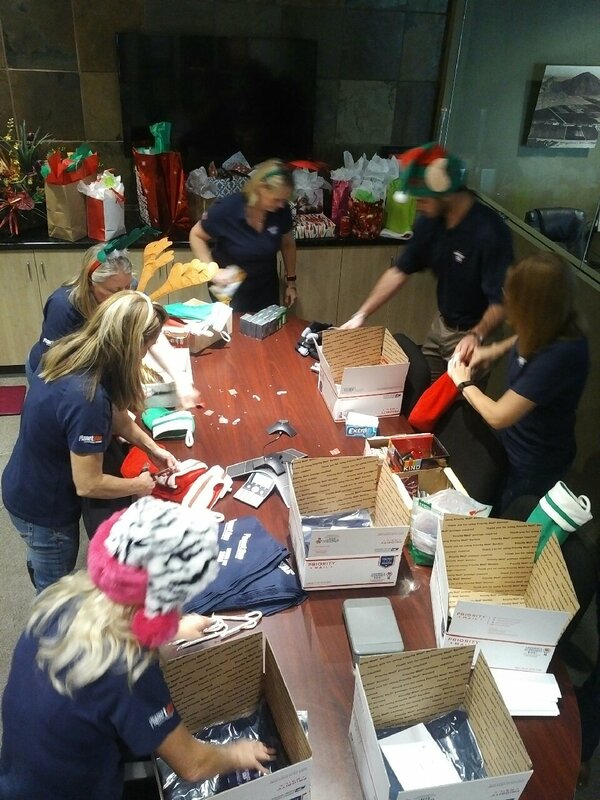 The PlanetOne team gathered in early December to prepare care packages for men and women of the armed services who are deployed overseas. 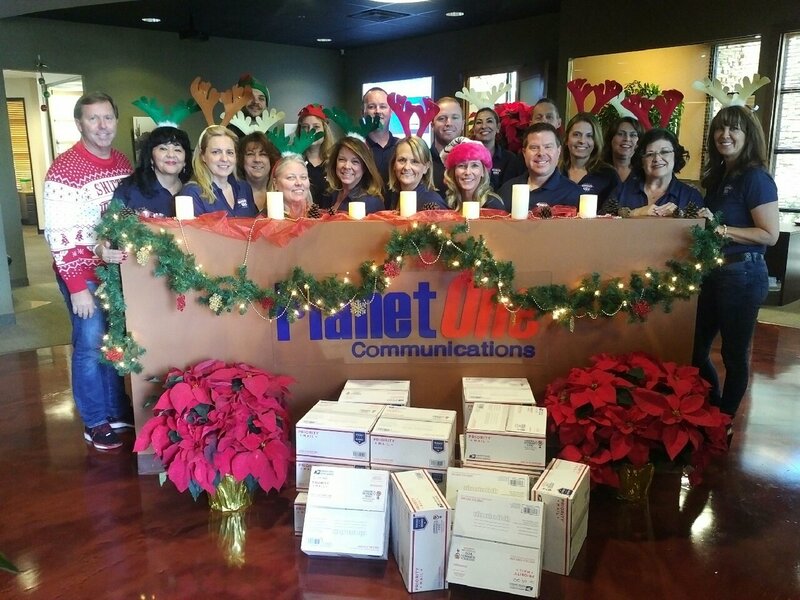 The holidays are particularly difficult for the troops who are stationed away from their families and putting a smile on the faces of these hardworking folks was a goal that Team PlanetOne rallied around. Working through the AdoptaPlatoon organization, we were allocated a US Army troop of soldiers currently deployed in the Middle East. The team of PlanetOne elves created a production line in the conference room and holiday stockings were stuffed with essentials – socks, gum, playing cards, t-shirts, snacks, chapstick and sunscreen. Each stocking also included an electronic copy of Never Fly Solo: Lead with Courage, Build Trusting Partnerships, and Reach New Heights in Business, donated by the author Lt. Col. Rob “Waldo” Waldman (Ret. ), the inspiring keynote speaker at PlanetOne’s year-end event last month. Once completed, the packages were sealed in special USPS boxes and shipped to arrive in time for the holidays. AdoptaPlatoon Soldier Support Effort® founded in 1998 is a volunteer based nonprofit 501C-3 dedicated to serving deployed United States Service Members ensuring that they are not forgotten by a grateful nation. AdoptaPlatoon strives to provide a better deployment quality of life by sending cards, letters and care packages to lift the morale of Troops as they serve far from home and assist military families. AdoptaPlatoon also serves wounded/ injured Troops through their “AAP Walking Wounded” campaign and assists military veterans who remain our Nation’s Heroes. For more information on how you can contribute please visit www.adoptaplatoon.org. Creating these care packages provided an opportunity for reflection on the great sacrifices made by the members of the military and allowed us to express gratitude for their service in keeping our country safe. We all share a common vision and hope for increased world peace in the future. The PlanetOne family wishes you and your loved ones the most joyful holiday season.